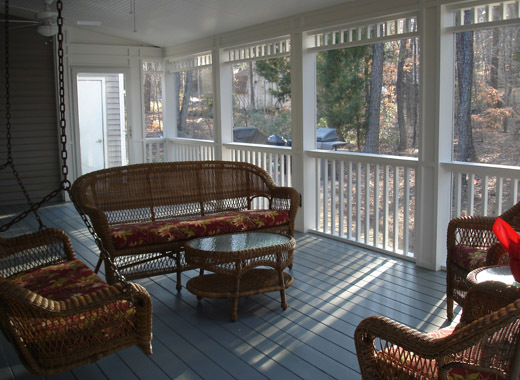 Screen porches add valuable living space to your home – and better yet – they can be used year round. 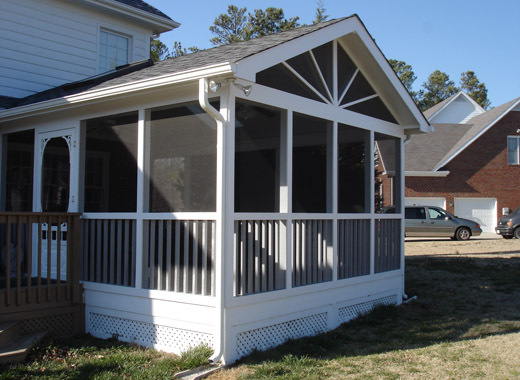 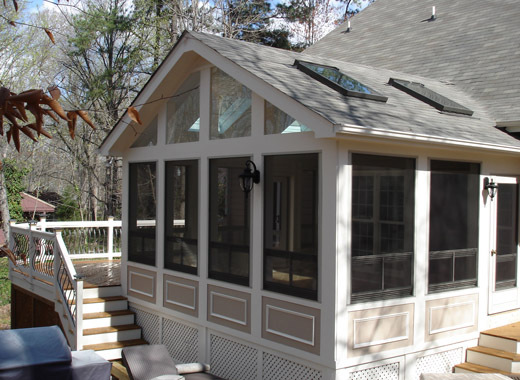 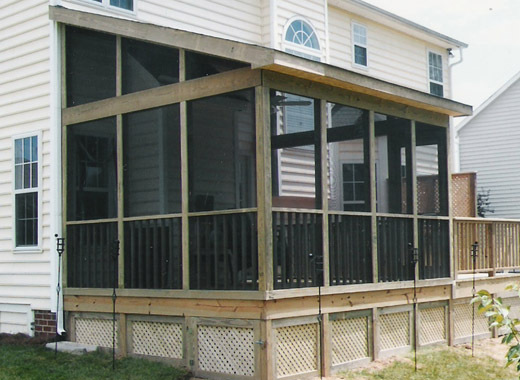 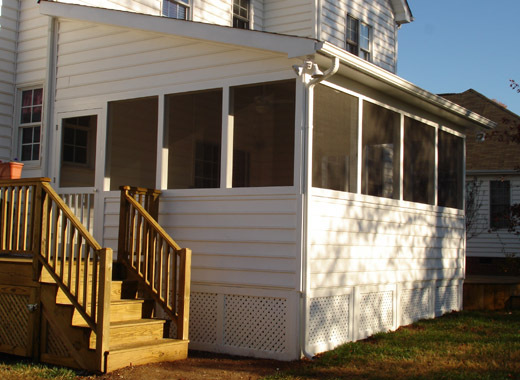 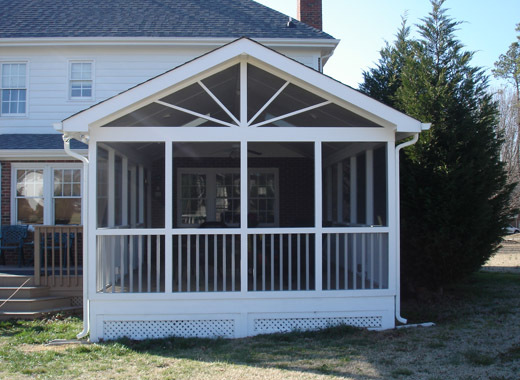 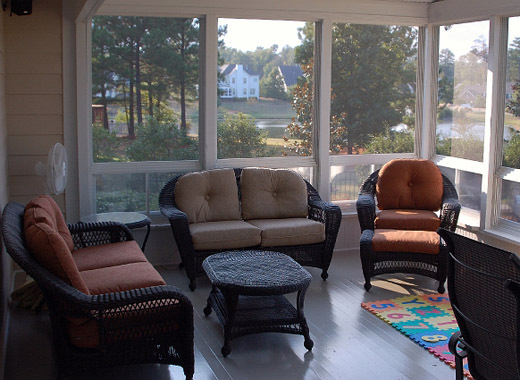 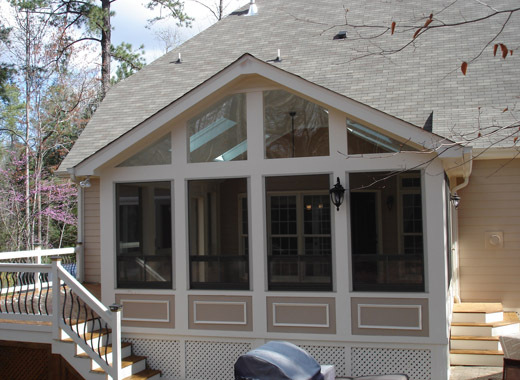 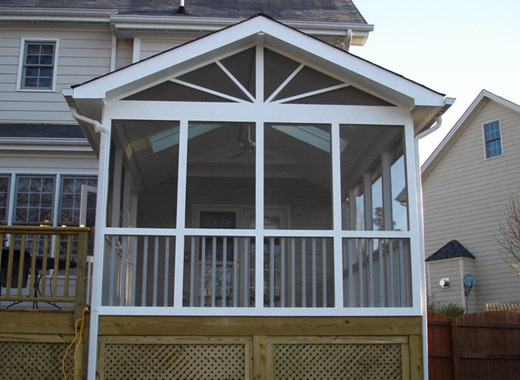 Our craftsmen take great pride in providing world-class screen porches at an affordable price. 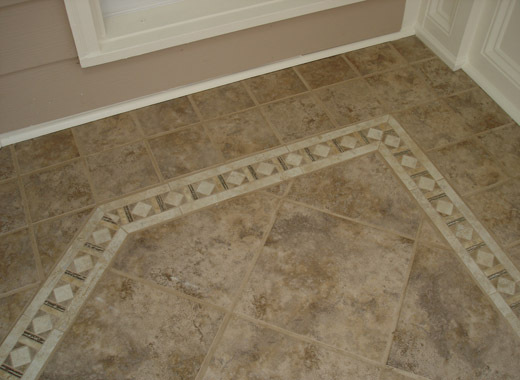 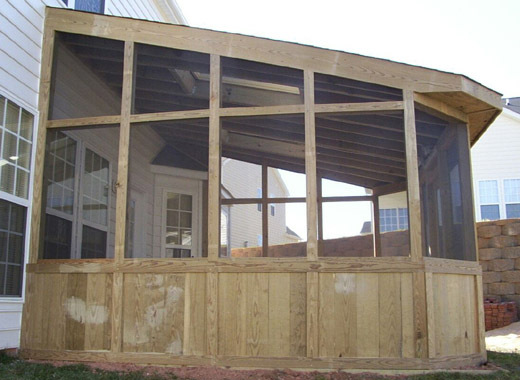 We start on time and make sure that your project is completed in a timely fashion. 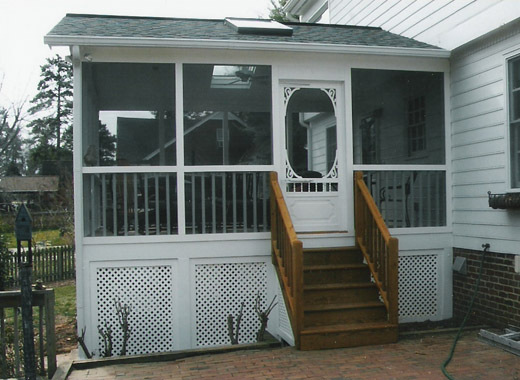 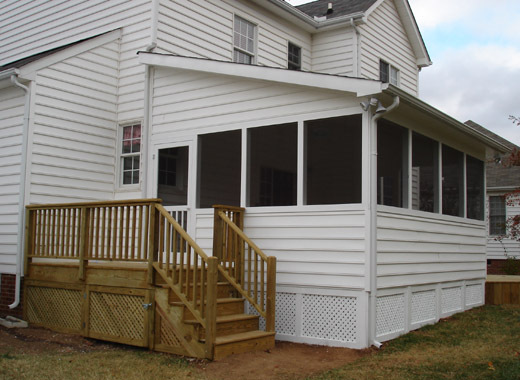 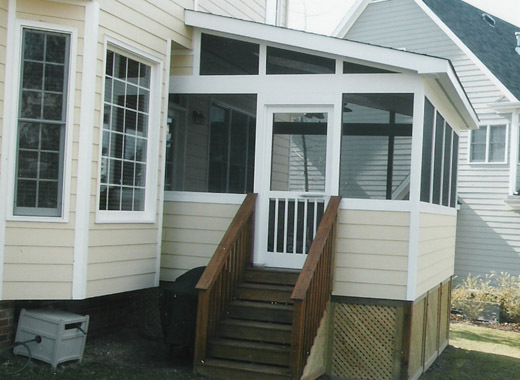 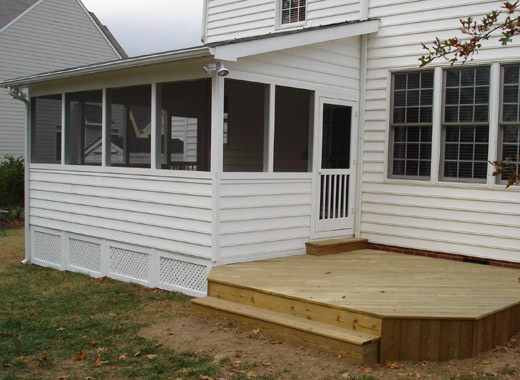 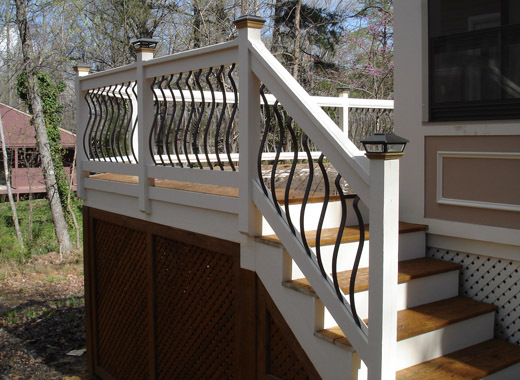 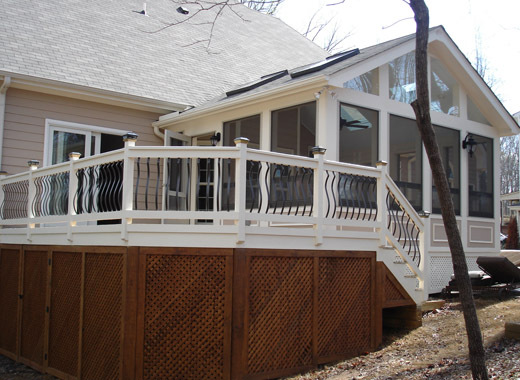 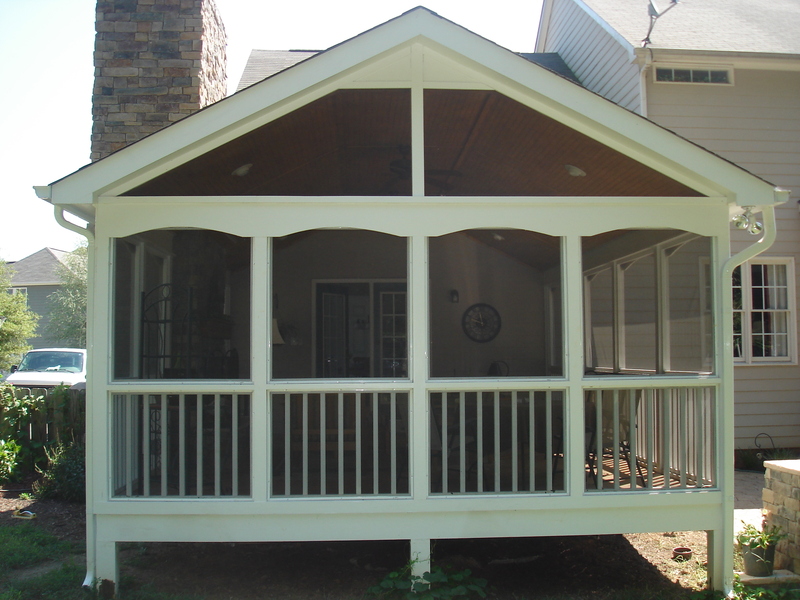 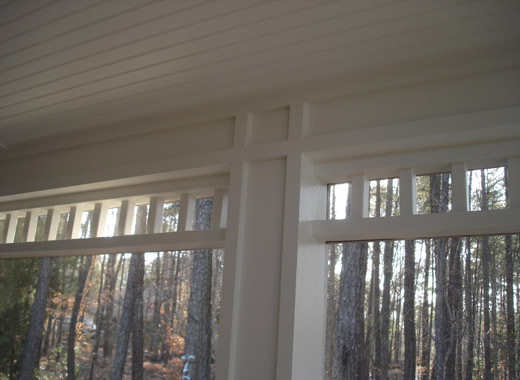 See examples of our workmanship and custom designed screen porches. 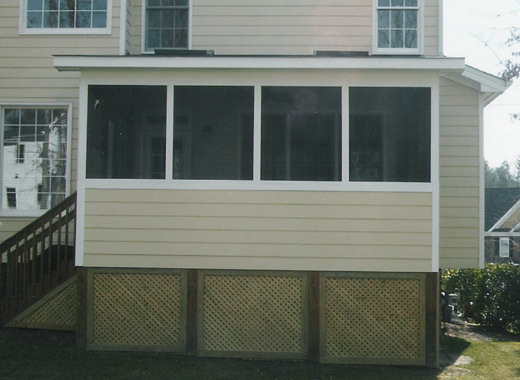 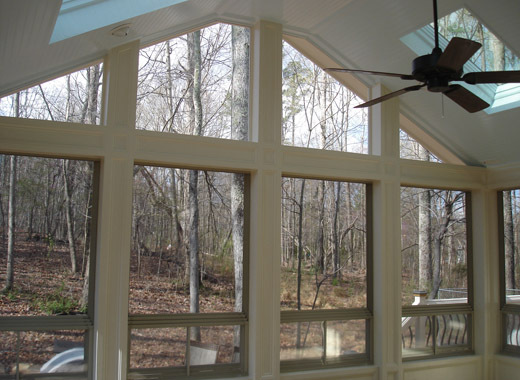 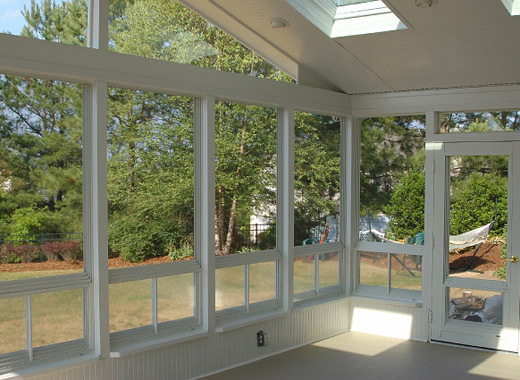 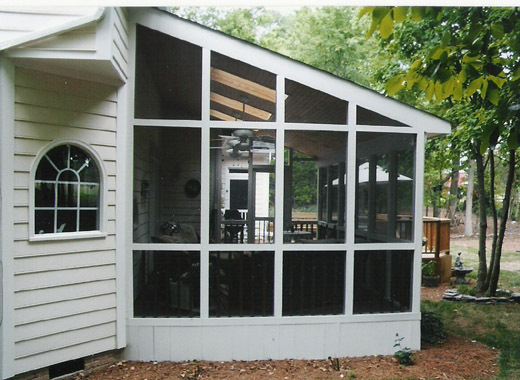 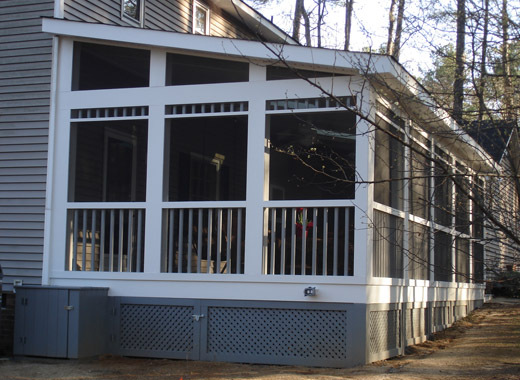 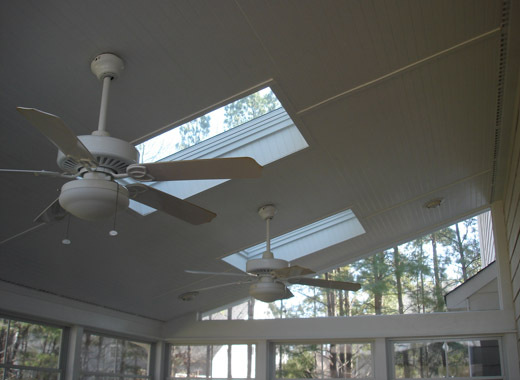 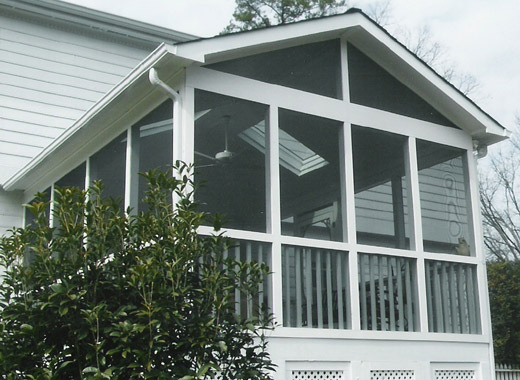 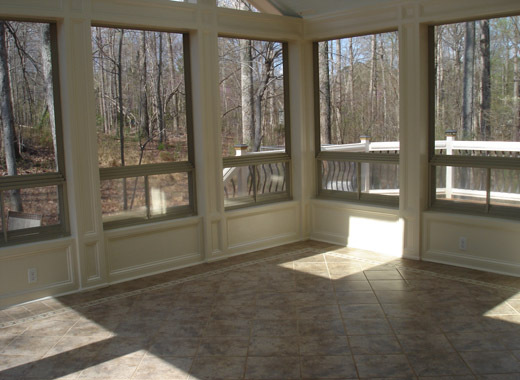 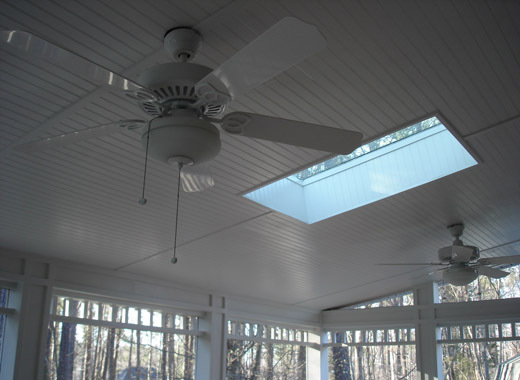 PTG Eze-Breeze Sliding Panels add more livability to your custom designed screen porch enclosure. 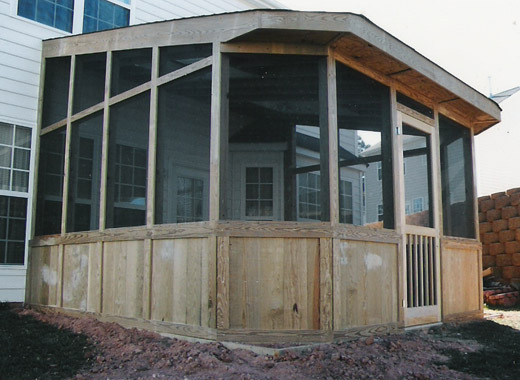 They are custom-sized and uniquely designed to fit to existing openings without costly reframing. 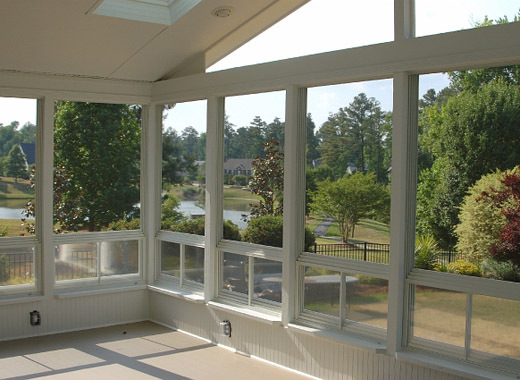 PTG Eze-Breeze Sliding Panels are versatile, rugged and attractive, and they’re easy to operate. 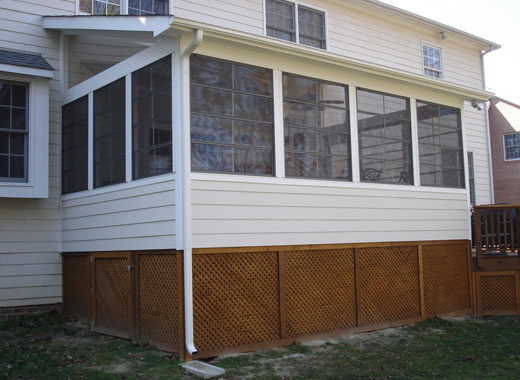 When opened, they let in the breeze while screening out insects and debris. 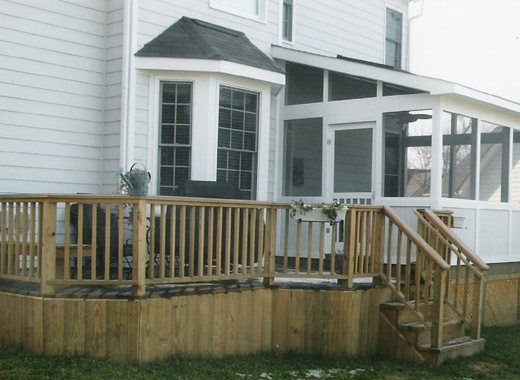 Closed, they provide protection from rain, snow, wind and summer sun. 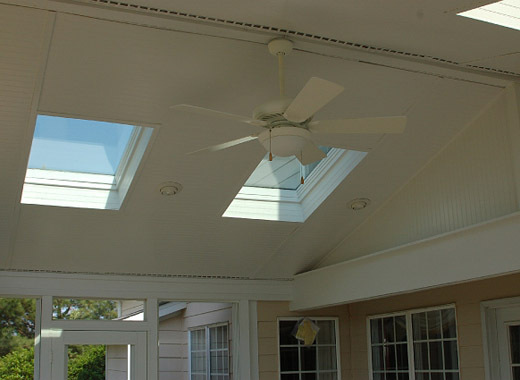 It truly offers the best of both worlds. 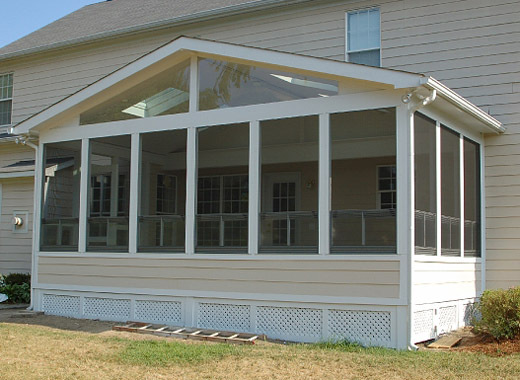 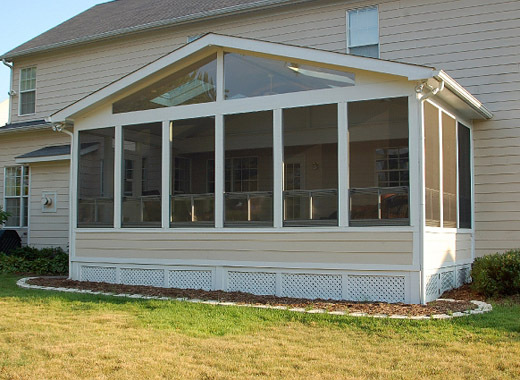 Would You Like to Add Living Space To Your Home With a Screen Porch? 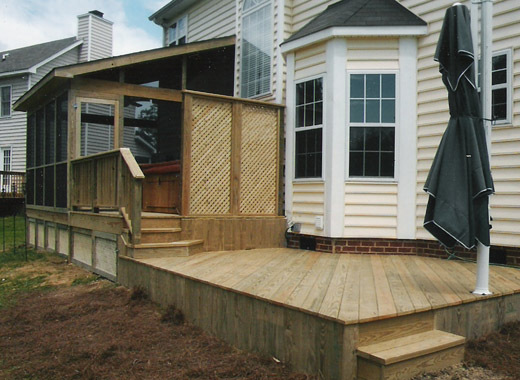 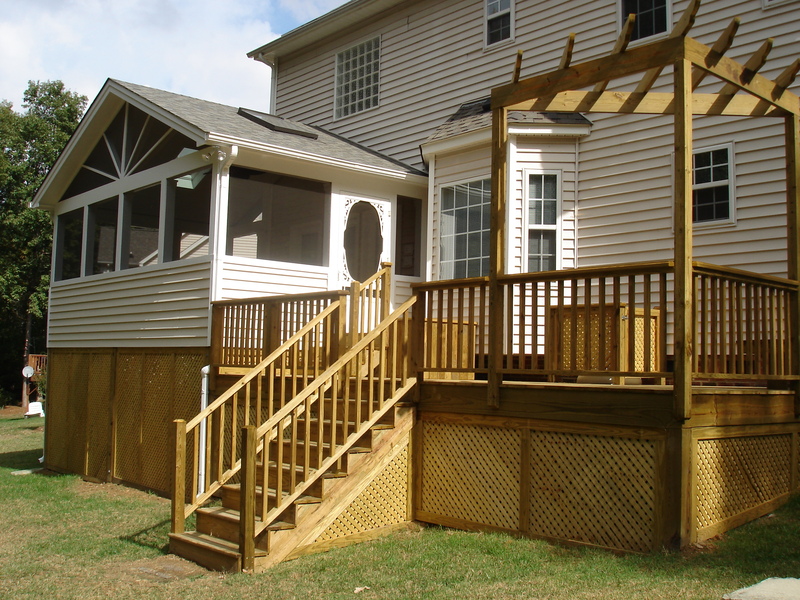 Feel free to contact us via email at info@garuda-decks.com or call us at 919-460-8802 for a free estimate and computer design. 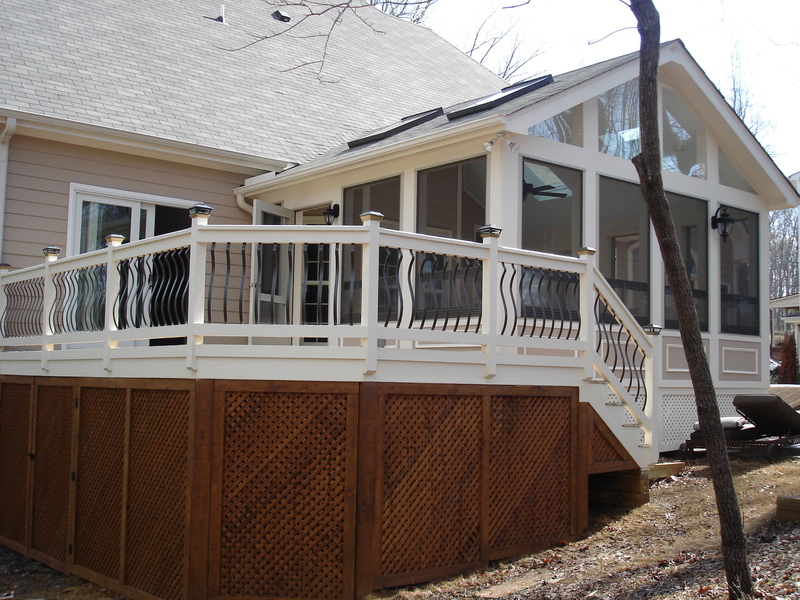 We will be happy to meet with you at your convenience.